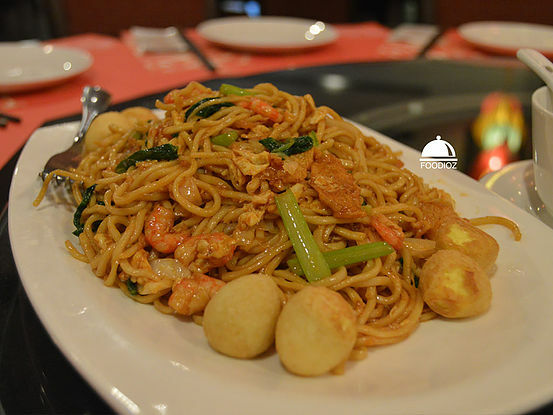 As chinese cuisines specialist, Jun Njan sure know how to make good noodles. It is stir fried well done, very tasty, and much of ingredients like prawns, quail eggs and vegetables. Then i have Boiled Chicken white meat. It is completed with the garlic oil gave a great sense. 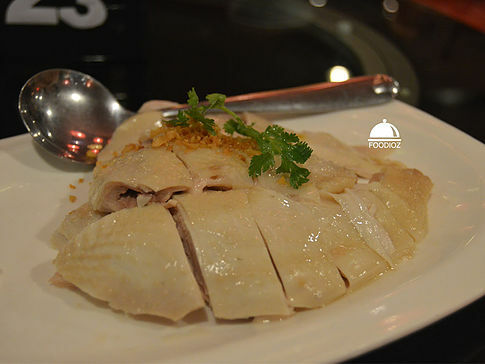 Chicken has soft texture, cook nicely in prefect boiled condition. What not so happy, it is not enough for 5 person even though it's half of chicken. Then i have Angsio Tahu. It is a round bean curd sauteed dip in thick sauce. 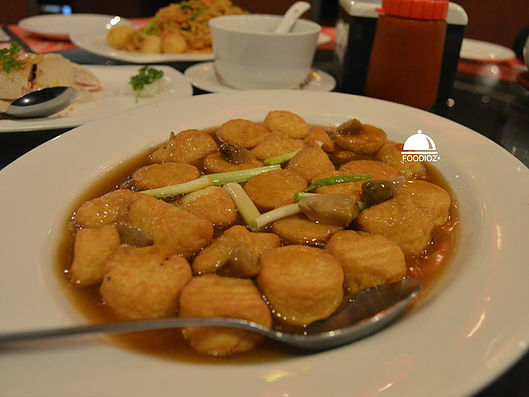 It is really tasty, thick sauce has strong taste and bean curd mixed well done in it also it has soft and firm texture, sure it has nice bite. Next stunning dish is Gurame Fish in Bumbu Rujak. I haven's put the sauce on it, so it still looks dry. 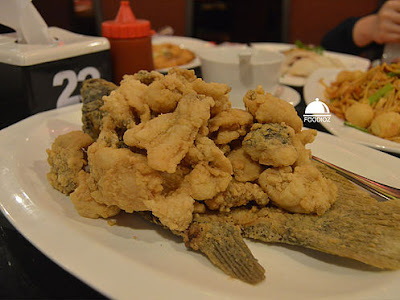 Fish has really crunchy bites, it also has good texture inside, nice white color meat and sauce has sweet & sour taste such a freshness. It looks beautiful when it poured to the fish. Next is my favorite dish in this restaurant, Fried Squids Jun Njan. 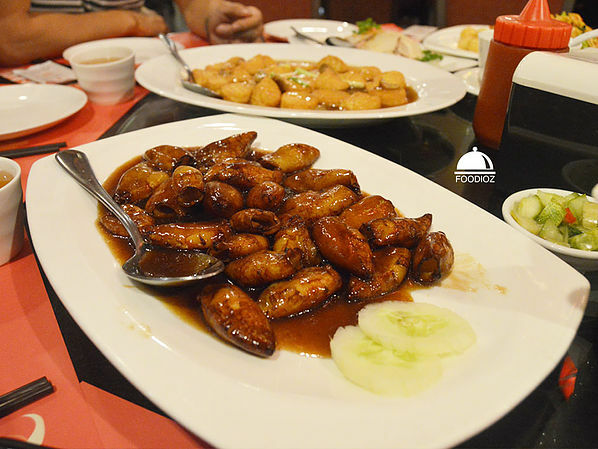 This one has been the most tasty dish in here, it has brown color and squids mixed well in it sauce. It sure has really great taste, i absolutely recommended for this one than the prawn. Last dish, need something healthy which i ordered a vegetables. I am having a Poh Cai 3 Eggs. Over all, foods are good also this one. 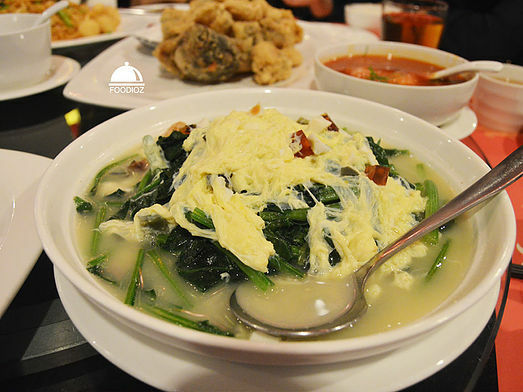 It is cooked well done, balanced seasoning and vegetables has nice texture with various eggs sure it is delicate.